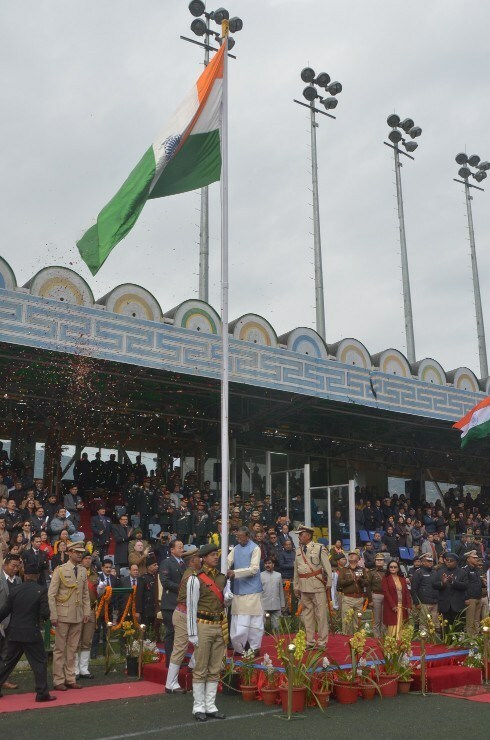 Sikkim governor Ganga Prasad unfurled the tricolour and took the salute as Sikkim joined the rest of India in celebrating the nation’s 70th Republic Day on Saturday. Prasad also reviewed the parade that was participated by personnel from the Indo Tibet Border Police (ITBP), Sashastra Seema Bal (SSB), Sikkim Armed Police, Sikkim Police the state home guard, civil defence, besides the NCC, an official release stated. 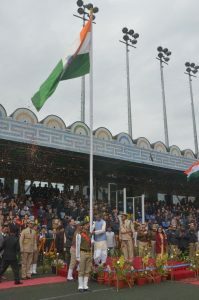 State chief minister Pawan Chamling also graced the Republic Day function held at the Paljor Stadium in Gangtok. Sikkim Legislative Assembly Speaker K N Rai, Lok Sabha member P D Rai, members of the state Cabinet, and senior bureaucrats were also present on the occasion. In his address, the Governor spoke on the history and the significance of the Constitution and said it is a symbol of pride for all Indians. Highlighting the successful implementation of organic farming in Sikkim, Prasad said it is now a model for others to follow. He also threw light on the importance of road connectivity and all forms of transport, stating that a comprehensive road network in the entire state to connect with the most remote villages would be implemented. The Governor congratulated all those who have excelled in their respective fields, and urged everyone to unite and make Sikkim a strong state, the release added.